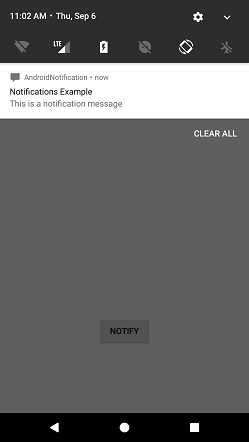 In this example, we will create a notification message and clicking on it launches another activity. Create an activity named as activity_notification_view.xml and add the following code. This activity will launch on clicking the notification. 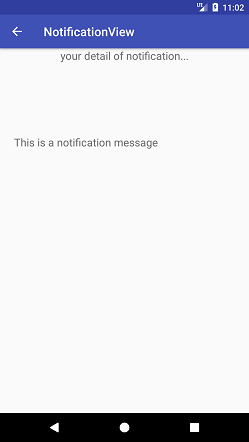 TextView is used to display the notification message. Add the following code in the MainActivity.java class. 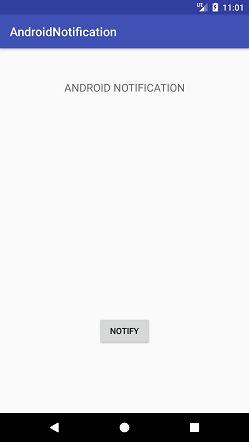 In this class, clicking the button calls the addNotification() method where we implement the NotificationCompat.Builder object to set the notification properties. 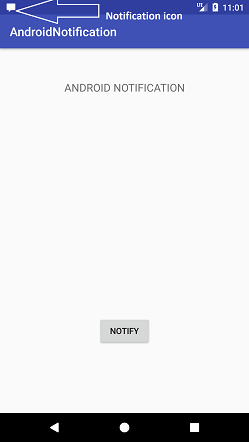 The NotificationManager.notify() method is used to display the notification. The Intent class is used to call another activity (NotificationView.java) on taping the notification. The NotificationView.java class receives the notification message and displays in TextView. This class is invoked while taping the notification.